Tell Me, Birdie! 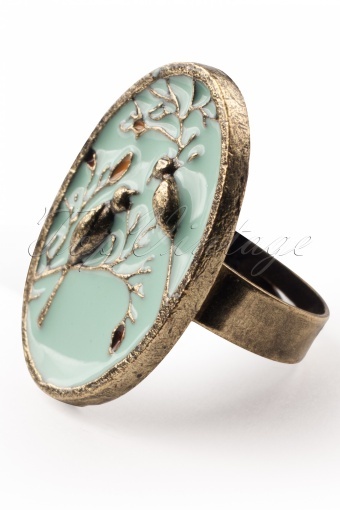 Enameled ring antique gold by From Paris With Love! 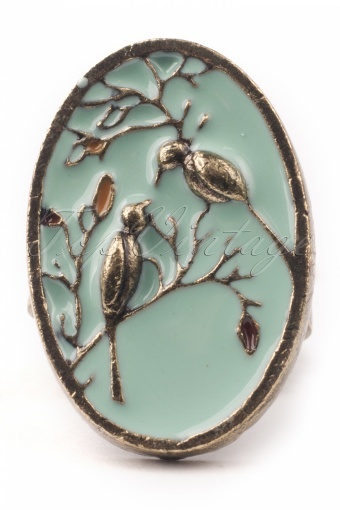 Sooo cute; two overlayd birds in gold tone against a fade turquoise enameled background.